I’ll be straight up, and state that I know next to nothing about Croisée in a Foreign Labyrinth. I’ve seen the odd screencap, and read the blurb on the retail site, and I know that it’s a period piece, a fish-out-of-water story with a Japanese girl in 19th Century Paris, but I’ve never watched it streamed, or read any reviews. For the first time in a long, long time, I bought an anime show blind. The price certainly helped, as it was on sale, and I was looking for a little something to make postage and customs on a package worthwhile. Usually when I do that, I end up with the Mecha Masters boxset. This time though, I don’t think I’ll be that unlucky. A traveller returns to Paris with an odd souvenir. 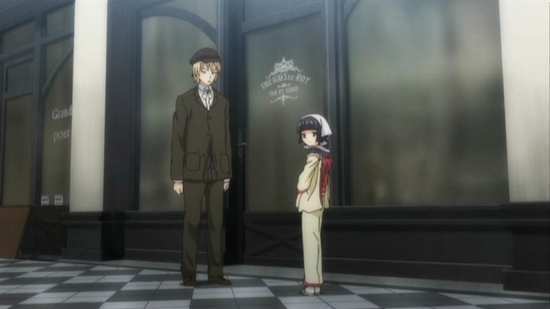 Oscar Claudel has brought a young Japanese girl named Yune with him, having promised her family that she can serve her apprenticeship in the city that she has often dreamed of. Naturally the reality is intimidatingly different from the fantasy. Oscar takes Yune to his family’s shop Enseignes du Roy, situated in the Galerie du Roy shopping arcade. It’s an ironworks specialising in shop signage, run by Oscar’s grandson Claude. 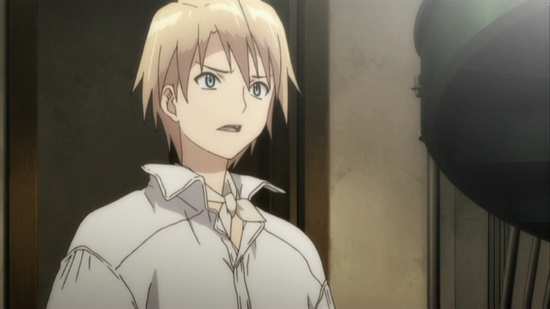 Claude is hardly as gregarious as his grandfather, and initially views Yune with distrust and scepticism. But Oscar assures him that she can be of benefit to the business, although there’s a whole lot of culture clash to navigate first. 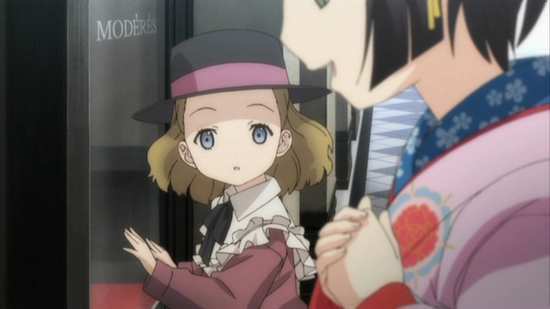 However, the Galerie du Roy is facing hardship; with the new age comes new ways of doing business, and the shopping arcade is rapidly losing custom to the new fangled department store run by the Blanche family, and young daughter Alice Blanche is enchanted by the Japanese visitor. 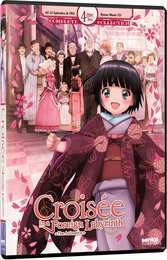 13 episodes of Croisée in a Foreign Labyrinth are presented across three DVD discs from Sentai Filmworks, along with more than the usual offering of extra features. There is also a 4th disc, a soundtrack CD with a collection of background music from the series. Croisée in a Foreign Labyrinth gets a 1.78:1 anamorphic NTSC transfer on these discs. Alas it isn’t progressively encoded, and pans and scrolls are annoyingly a little jerky. By that token, you won’t be surprised to hear that this is a DVD only title, and you can’t sample its beautiful visuals legally in HD in the UK (It’s on the US subscription streaming site The Anime Network). 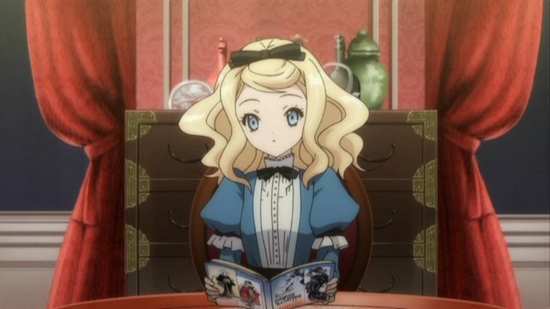 It’s a shame there is no Blu-ray as this is a fine looking series, sharing a character designer with Gosick, creating the same clarity and cuteness in Croisée’s characters. 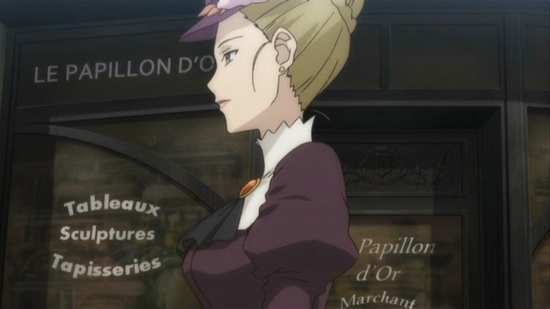 The world design is detailed and feels authentic to what late 19th Century Paris must have looked like, and the beauty of the settings and colours really make this an adorable series to watch. Other than the interlaced transfer, the image is clear and sharp, with no visible compression to mar things. 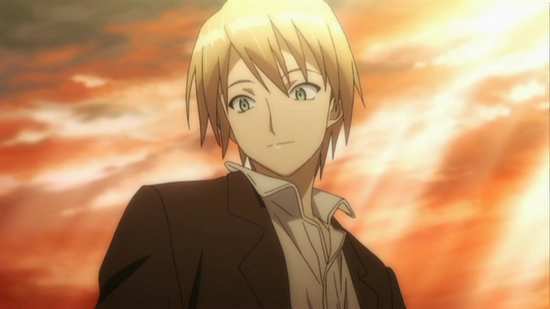 Croisée in a Foreign Labyrinth’s audio is in DD 2.0 Japanese form, with optional translated subtitles, although the narrator supplies his voiceover in French, for which there are soft English subtitles, as well as Japanese subtitles burnt into the print. 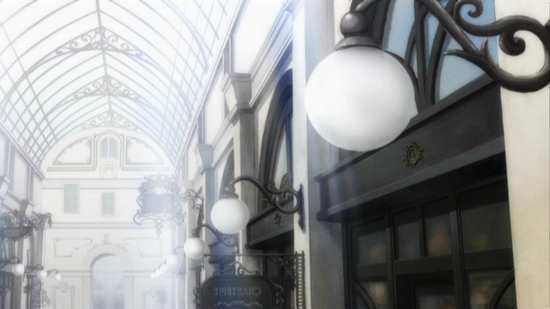 The audio is perfectly fine for a dialogue-centric show, and it does a fair job in creating the ambience of a shopping arcade at the end of the 19th Century. The dialogue is clear throughout, although it takes half a minute or so to get with the conceit that everyone is actually speaking native French (albeit in Japanese), and that Yune as a Japanese visitor is assumed to be unfamiliar with the language. The music is gentle and quirky, and suits the tone of the show well, although the opening theme tune sounds muddy to me, especially in comparison to the same piece over the main menu screen. The subtitles are accurately timed and are free of typos. You get 4 discs in an Amaray case, held on two centrally hinged panels. The DVDs boot up to static menus, with jacket pictures, and each episode is followed by a translated English credit reel. Disc 1 autoplays with a trailer for The Anime Network. The show’s extras are all on disc 3 however, and unlike the average anime release, there are a whole lot of them. Picture Dramas offer more gentle humour from the show’s characters. There are six in total. SD “Yune & Alice” Special Movies feature the show’s characters in super-deformed mode, offering some behind the scenes looks at the show, and some promo videos, packaged in a little comedy. The Radio Dramas are just that. 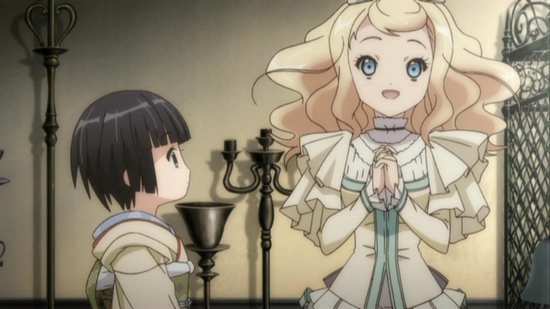 Like many anime, Croisée in a Foreign Labyrinth got a radio series as well, where the voice actors got to talk about the latest anime episode, have a gossip, play some games, and indulge in some Q & A with fans of the show. For the home video release in Japan, four of the DVDs and Blu-ray volumes got bonus CDs, where four episodes of the Radio Drama were specially created for home video. Those four are presented here, moved to the DVD, and subtitled. They feature voice actresses Nao Toyama (Yune), and Aoi Yuuki (Alice), and consist of chat, questions from fans, and playful conversational French lessons. The Club AT-X Double R Video is a promotional piece for the show. It lasts 8:53, and Toyama and Yuuki are joined by Claude voice actor Takashi Kondo, for some more light-hearted chat. You get 4 minutes of Japanese promos, a minute of Japanese commercials, the main textless credit sequences, and Sentai trailers for Allison & Lillia, Psychic Squad, Cluster Edge, Heaven’s Memo Pad, This Boy Can Fight Aliens, and MLODI[at]RETS Xenoglossia. Finally there is the soundtrack CD, although it’s not worth getting excited about. It merely offers a sample of the background music in the show, not the theme songs or the songs from episode 4.5, and while the gentle melodies are pleasant enough, I can see this disc really only getting one play out of curiosity. Its 10 tracks run for just 19:36 as well. It’s rare these days to get anime with copious extra features on disc, as Japanese distributors tend to keep the bonus features for domestic customers, to limit reverse importation, alongside imposing locked audio and subtitles, holdbacks, and DVD only releases. 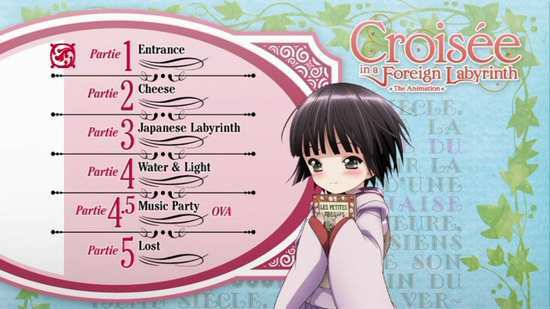 Croisée in a Foreign Labyrinth is a more recent show, but is DVD only. It could be that was the compromise that Sentai made to get these extra features, but the result is a package as standard that rivals many other companies’ limited and collector’s editions. You get a soundtrack CD, and more than three hours of extra features on disc. That’s not to be sniffed at, although living with the NTSC interlaced format and the lossy DVD audio is a price that we have to pay. Of course none of this matters if the show isn’t up to snuff, and thankfully, Croisée in a Foreign Labyrinth is pretty good. It’s a bit of a genre mish-mash, a period piece most certainly, there’s a bit of drama to it, hints at romance, and plenty of gentle comedy, but the genre that it fits most neatly into, is that which is increasingly common these days, the slice of life show. It’s a show that revels in the pleasantry of character interaction, the joy of day to day life, and mild character drama. The intensity of emotion is held back for those rare moments where the viewer might lean forward, might exhibit a slight intake of breath, but will remain assured of a happy outcome regardless. It’s the appreciation of small things, which is a genre that anime handles astoundingly well, and Croisée is up there with shows like Non Non Biyori and Is the Order a Rabbit? 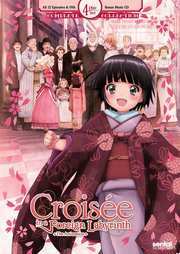 Croisée is a fish out of water story, with Yune, the unlikely Japanese girl who travels to Paris for her apprenticeship, although it’s never made clear in exactly what profession she’s apprenticing. It’s a gentle, unthreatening existence that she finds in Paris, as she has the benefit of being the novelty of one, rather than a whole immigrant community. Everyone sees her with curiosity, and it quickly becomes affection due no doubt to her cute, doll like appearance. In a reversal of the generations, she’s brought to France by Oscar Claudel, a gregarious, outgoing, and warm-hearted man who has promised to look out for her while she’s in Paris. That means putting her up and allowing her to work at the family concern, the Enseignes du Roy ironworks. Due to Oscar’s peripatetic lifestyle, the shop is owned by his grandson, Claude, and Claude is the misanthropic isolationist type, who would far prefer running the shop without the encumbrance of customers, and feels he has to put up with a necessary evil to make ends meet. He’s not too pleased at the thought of sharing his roof with Yune, at least not at first. 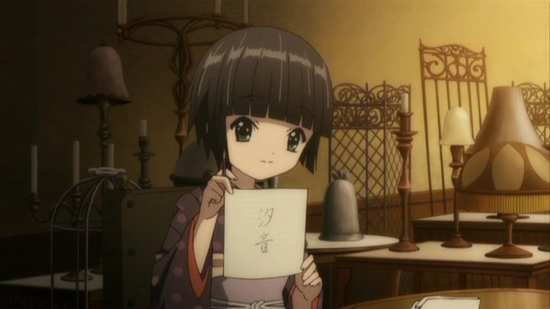 But Yune quickly proves her worth by going to work as any traditional Japanese girl would, by cooking and cleaning, and the fact that she makes his man-cave of a shop presentable at least makes her presence bearable to Claude. It isn’t long before her wide-eyed fascination with all things Parisian, and positive outlook, as well as total naivety start to endear her to him, and make him protective of her. Once he starts seeing Paris through her eyes, he begins to open up as well, become less of a recluse. All through the series, there’s a sense of rivalry between the Galerie and the new department store, although we see it through Claude’s eyes as a passing of the old ways, the decline of something beloved in favour of something modern and crass. His inner grumpy old man is in full voice at these points, especially when it comes to the owners of the store, the Blanche family. 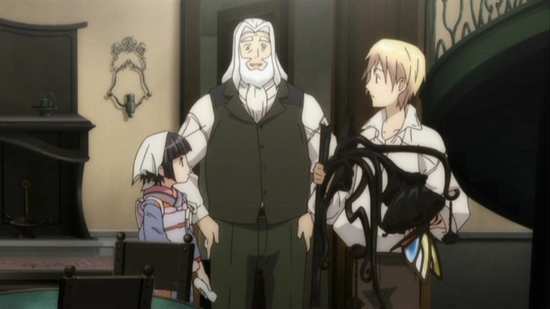 His protectiveness of Yune is invoked when Alice Blanche shows up, a rabid Japanophile who is enamoured of Yune even before she meets her, and insists that she moves out of Claude’s grubby shop and into her grand apartments. 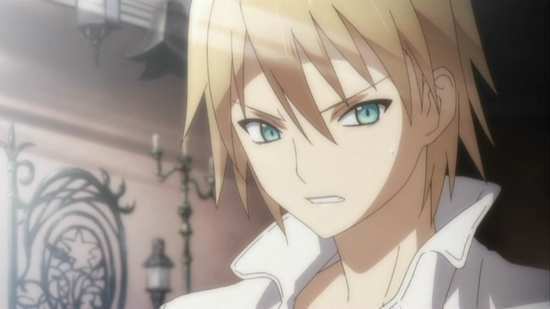 There’s a playful rivalry that develops between Claude and Alice as a result. 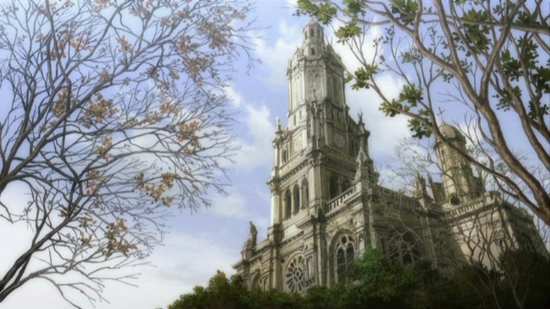 But as the series unfolds, it becomes clear that there is something far more traumatic behind Claude’s misanthropy, and antipathy towards the department store, and it falls to Yune to uncover this truth, and set Claude on the path that will heal him. There is more of a narrative arc than the usual slice-of life show then, but not by much, and it really only happens in the background until say the final few episodes. If Croisée in a Foreign Labyrinth does have a message, it’s a positive one, one of fearlessness and joy in discovery, of celebrating differences, and being open to new ideas and different cultures. 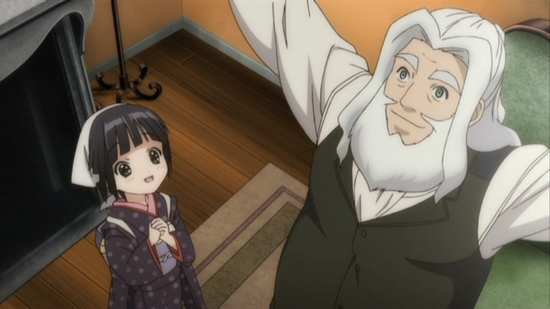 For much as Paris is taken by their new Japanese resident, and the gems of oriental culture that she brings with her, Yune learns just as much from her new home, while managing to retain her own identity. 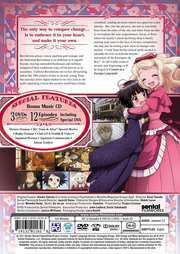 It’s a fine, period slice-of-life show which comes in a feature packed DVD collection, and it’s well worth an import.